KU looks to move .500 all-time in the Championship Classic. The No. 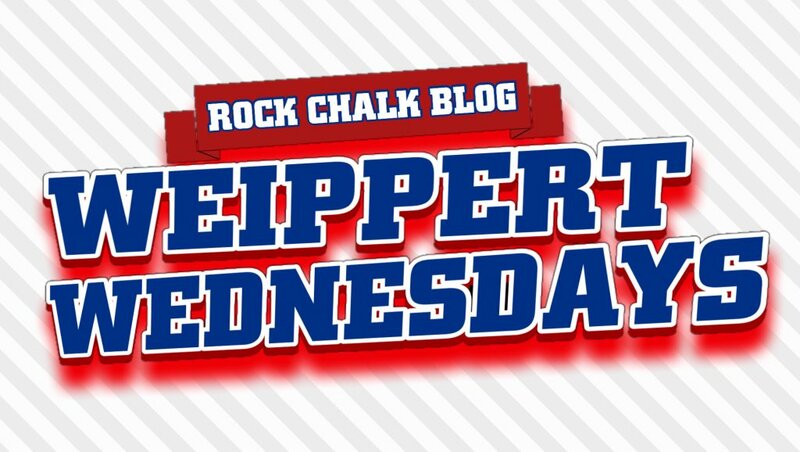 1 ranked Jayhawks open up the season on Tuesday night in Indianapolis when they take on No. 10 Michigan State as part of the eighth annual Championship Classic. Kansas is 3-4 all-time in the event and took down Kentucky last season in Chicago. Bankers Life Fieldhouse; Indianapolis, Ind. 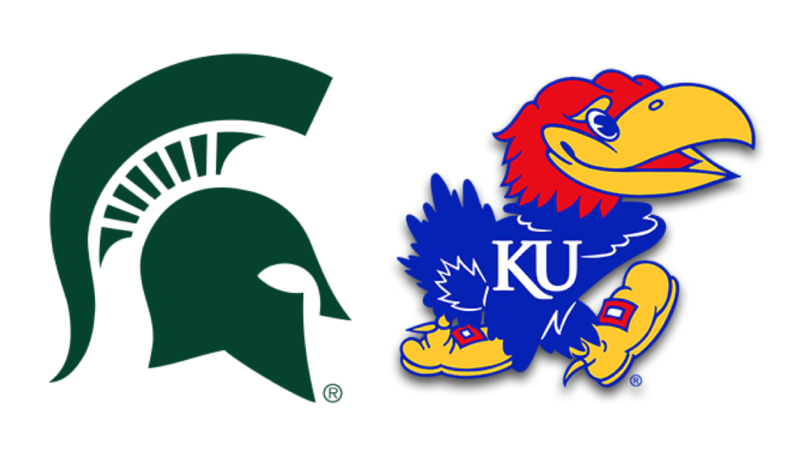 KU is 0-2 against Michigan State in the Champions Classic (67-64 in 2012 and 79-73 in 2015). Kansas is 14-1 in season openers under head coach Bill Self. The Spartans come in ranked No. 10 in the nation, but they enter the 2018-19 without the hype some of Tom Izzo’s other squads have garnered. They lose key players from last year’s Big Ten championship squad in Miles Bridges and Jaren Jackson. That being said, they return experienced talent in the form of Nick Ward, Cassius Winston and Matt McQuaid. All three played against the Jayhawks two years ago in the second round of the NCAA Tournament. Despite averaging under 20 minutes in each of his first two seasons, Ward has put up big numbers for the Spartans. Last year, he averaged 12.4 PPG, 7. 1 RPG and 1.3 BPG. In the 2017 NCAA Tournament against KU, he scored 13 points and had four boards. This time around, he’ll face a much more formidable and deeper KU frontcourt. Winston took a step forward last season upping his numbers across the board. The Detroit native averaged 12.6 PPG, 6.9 APG and shot nearly 50% from three-point range, bettering his percentage 11% from his freshman season. In games against Duke and North Carolina a season ago, Winston did go rather quiet by averaging 5.0 PPG and shot just 30%. Most Jayhawks fans might remember McQuaid from the 2015 game when he came off the bench and went 3-3 from beyond the arc. That’s exactly what McQuaid can do and that is fill it up from the outside, as he’s nearly a 40% career shooter from deep. 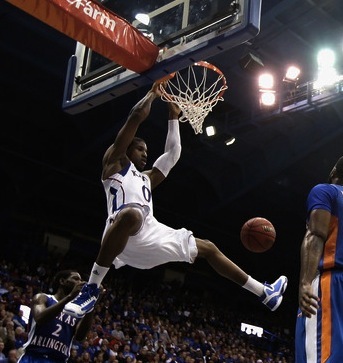 It’s hard to predict what will happen in this early season games, but I’m going to go ahead with Kansas. The Jayhawks might have lost a lot from last year’s Final Four squad, but they reload this season, and not like how most teams do with freshmen. KU does bring back veterans in Udoka Azubuike, Lagerald Vick and Marcus Garrett. The Jayhawks also bring in a trio of transfers (Lawson, Charlie Moore, and KJ Lawson) that are supplemented by top-flight freshman (Quentin Grimes, Devon Dotson and David McCormack). On paper, which is really all we can judge by at this moment, I like Kansas’ team much better than Michigan State’s. Give me KU in a decently close game, but one that is really never in doubt.